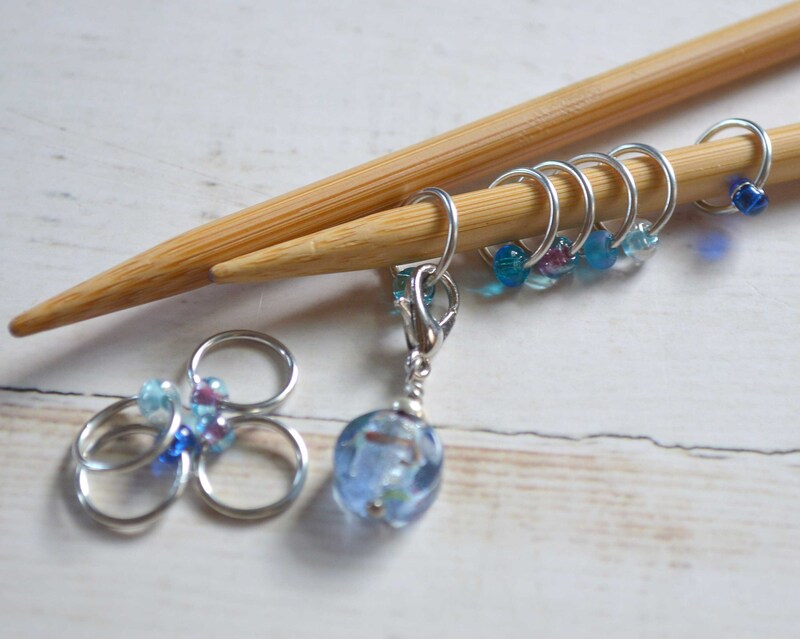 Available in sets of 8, 12, 16 and 20 markers with (1) removable charmed marker per set. 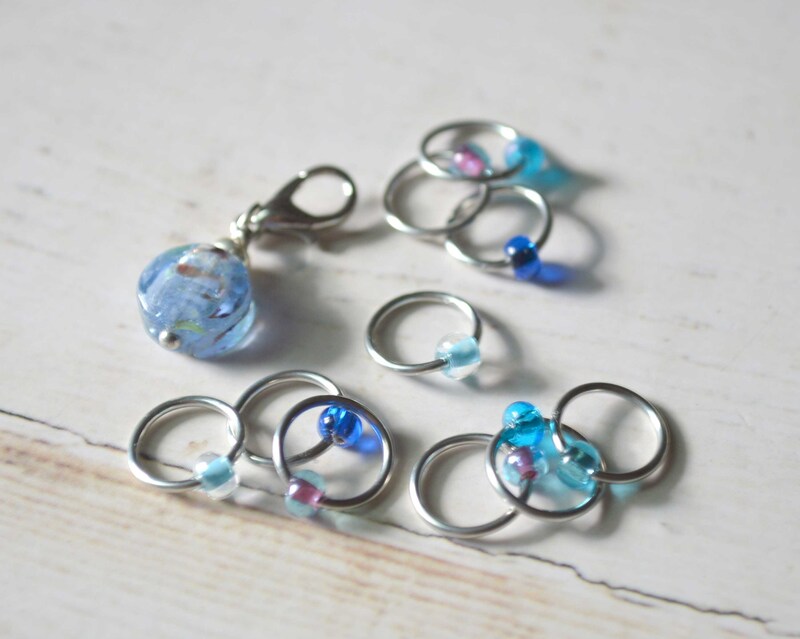 The Watercolor set of stitch markers features silver rings and a coordinating assortment of beads in various shades of blue reminiscent of a beautiful watercolor painting. 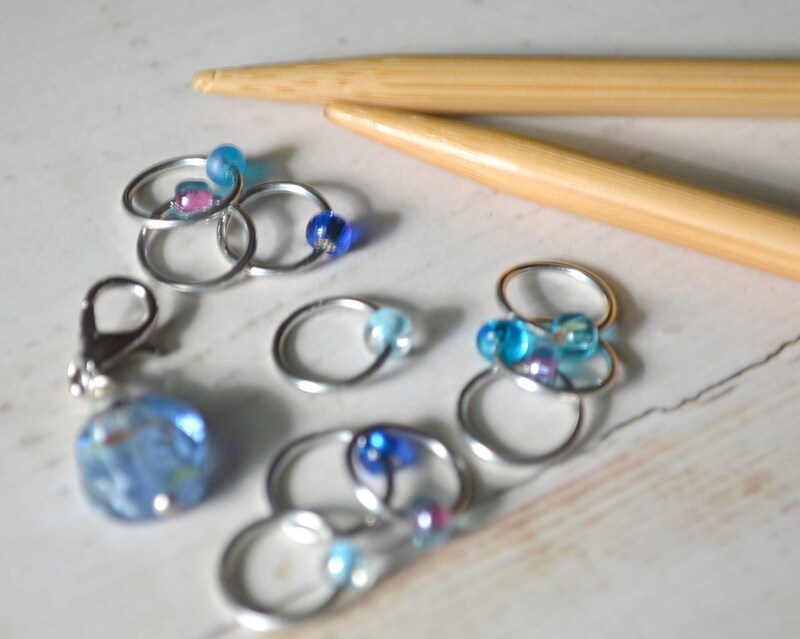 Beads range from semi-transparent to frosted. 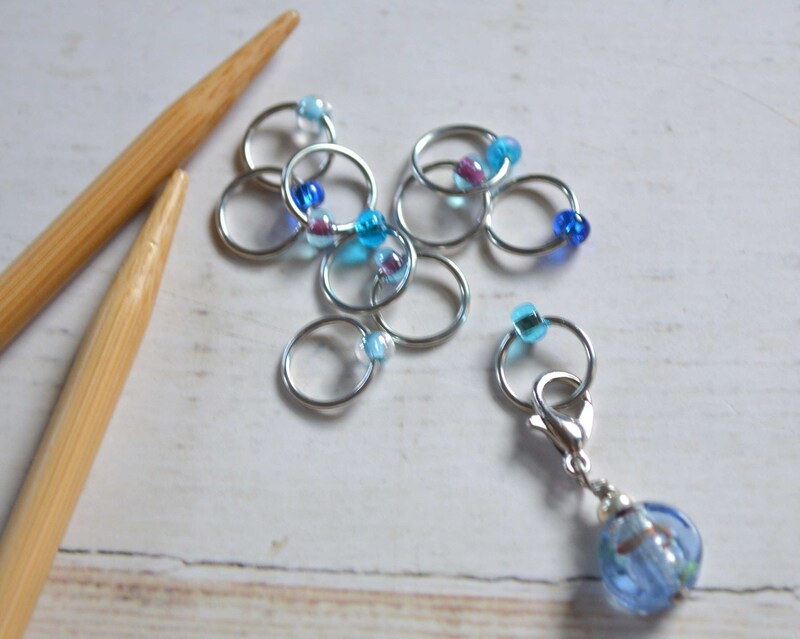 This set also includes one removable "master" marker which features a complimentary bead following along in the watercolor theme (please note each feature bead in my collection is unique and may vary slightly in color and pattern but is guaranteed to be complimentary to the set). 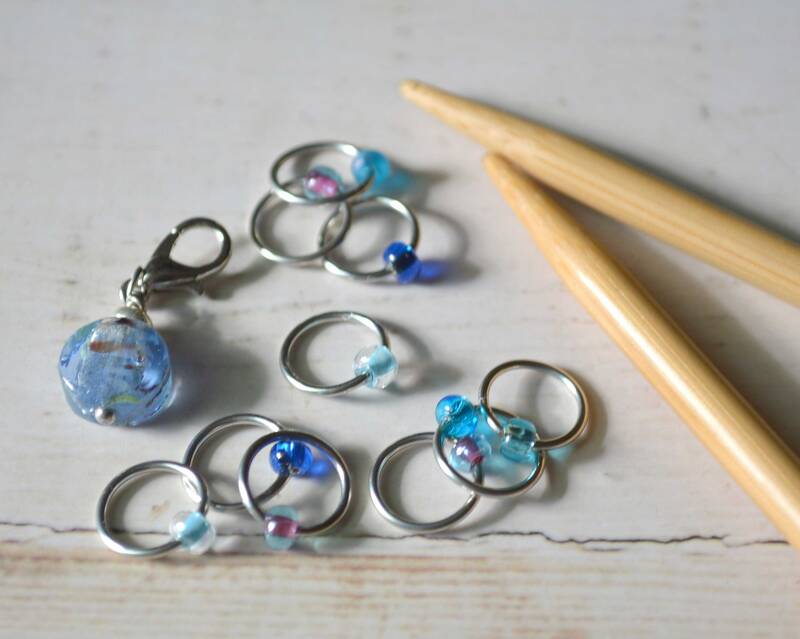 The lobster clasp can be secured to one of the rings for use as a beginning of round indicator and is also perfect for holding a dropped stitch, marking progress, marking the right (or wrong) side of your work and is suitable for crochet projects as well. Shown in size medium on size US 9 needles. 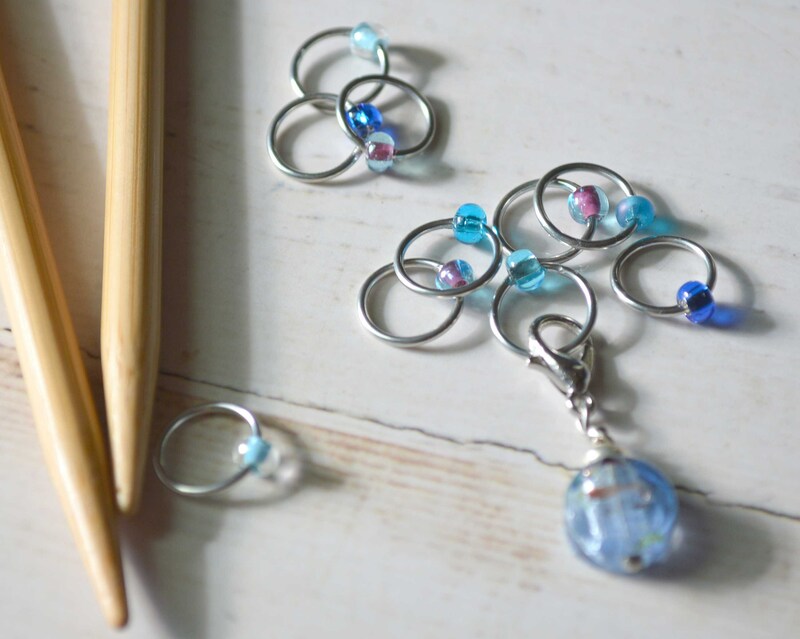 + Featured marker is useful for denoting the beginning of work when knitting in the round and is removable .